Creative gardeners like to display their old favorites in new ways. Perking up spring borders with bulbs and converting a section of sunny lawn into a field of Lavender are just a few ideas. 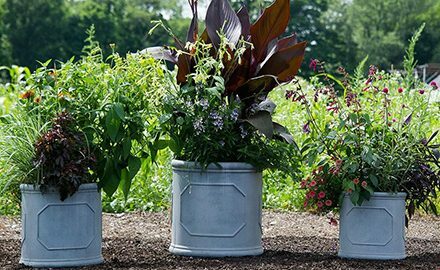 Nevertheless, containers offer the broadest design opportunities for every plant type – from annuals, bulbs, and perennials to shrubs and trees. 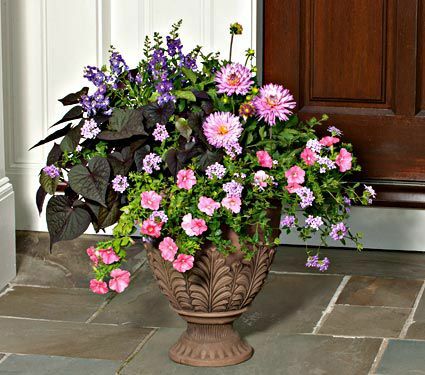 Flank an entrance with a matching pair of flowering shrubs or evergreens; plant a magnificent urn for a garden focal point; train vines on tuteurs set in big tubs. 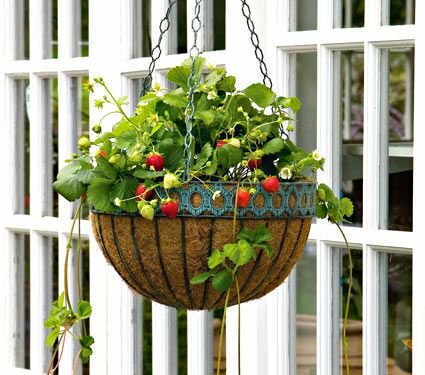 Window boxes, Strawberry pots, and hanging baskets offer versatile solutions that can change with each season. 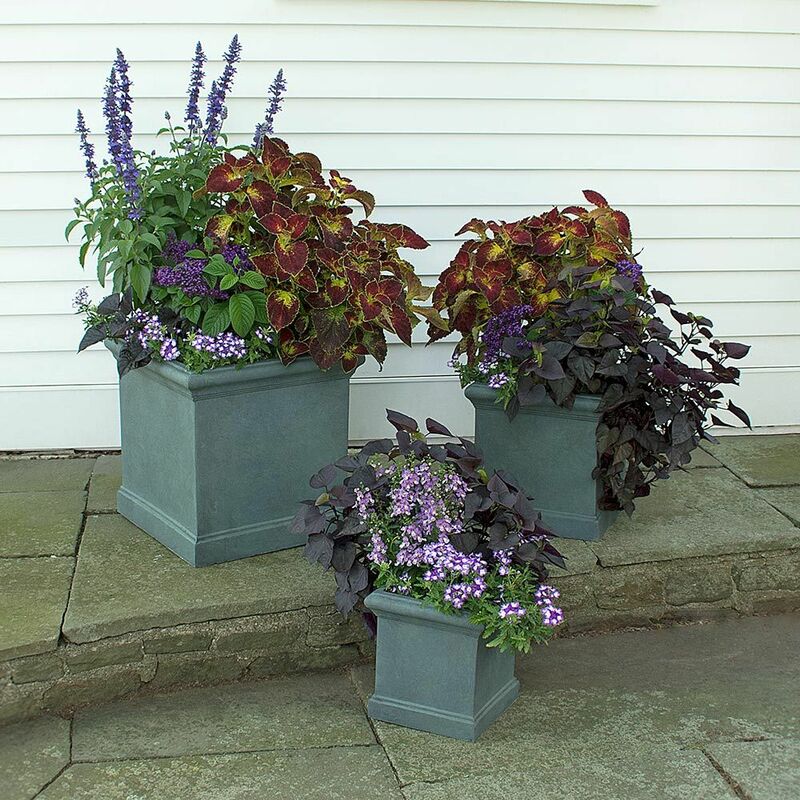 Growing requirements for plants potted in containers are typically the same as for those planted in the ground, except that container plants will need more frequent watering and feeding. Use a moistened potting mix and give the pot a good soaking after planting, then let the soil dry to the touch before watering again. With shrubs, slower growing species are the best choice for containers; allow enough space to fit the root ball comfortably. Check our Growing Guides for information on the requirements for individual plants. 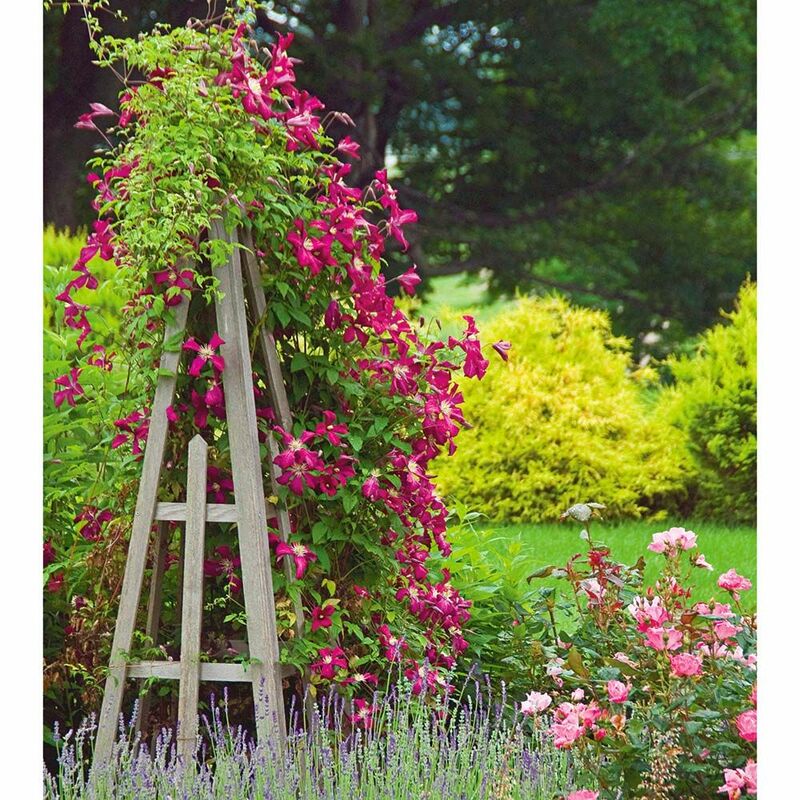 Look for more inspirations in the Gardening Help section of our website. Enjoy!